Being able to quickly analyze data can help you make better business decisions. But sometimes it’s hard to know where to start, especially when you have a lot of data. 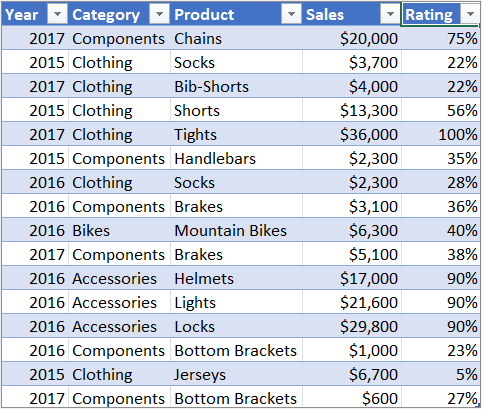 PivotTables are a great way to summarize, analyze, explore, and present your data, and you can create them with just a few clicks. 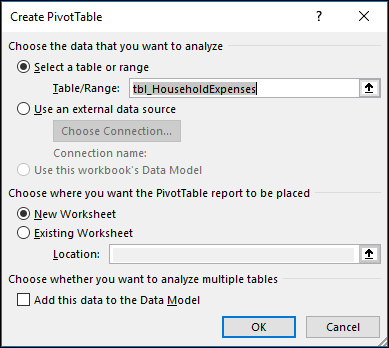 PivotTables are highly flexible and can be quickly adjusted depending on how you need to display your results. 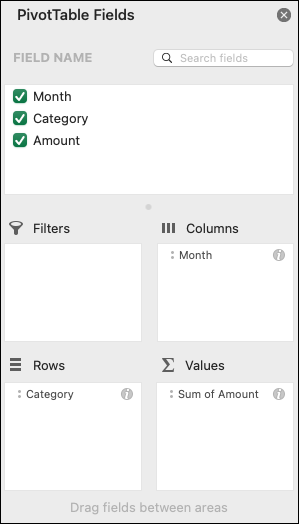 You can also create PivotCharts based on PivotTables that will automatically update when your PivotTables do. 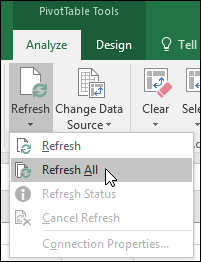 Note: Some of the screen shots in this article were taken in Excel 2016. If you have a different version your view might be slightly different, but unless otherwise noted, the functionality is the same. 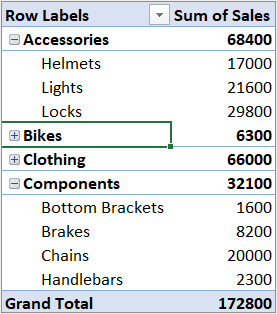 By default, PivotTable fields that are placed in the Values area will be displayed as a SUM. 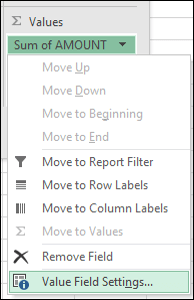 If Excel interprets your data as text, it will be displayed as a COUNT. 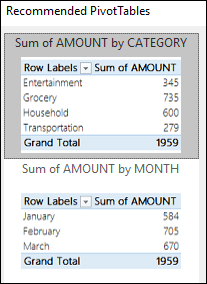 This is why it’s so important to make sure you don’t mix data types for value fields. 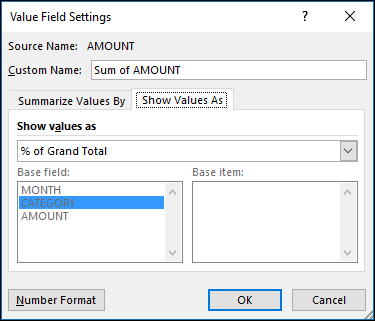 You can change the default calculation by first clicking on the arrow to the right of the field name, then select the Value Field Settings option. 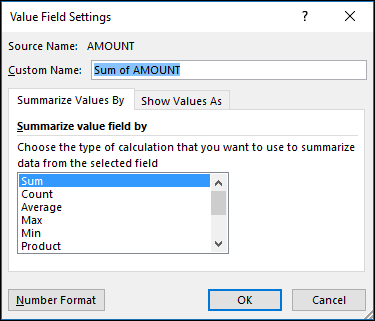 Instead of using a calculation to summarize the data, you can also display it as a percentage of a field. 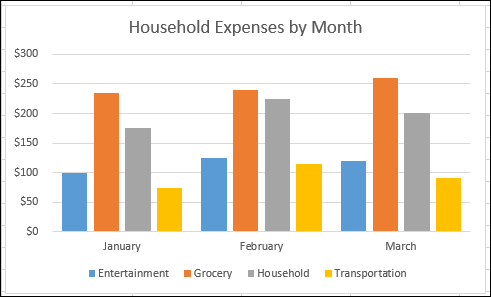 In the following example, we changed our household expense amounts to display as a % of Grand Totalinstead of the sum of the values.